Book Your Flight To Amsterdam Right Here! Amsterdam, the capital city of Netherlands, is one of the top financial hubs of Europe. The Amsterdam Stock Exchange boasts of being the world’s oldest stock exchange. During spring time, the whole city comes to life with soft bright flowers blooming everywhere. The beauty of the city has inspired many artists to stay there and capture its grace in their paintings. A couple of the famous ones are Vincent van Gogh and Rembrandt van Rijn. Catch a cheap domestic or international flight and explore this beautiful city. Know more about a gorgeous city with postcard-like views comprising of canals, blue skies and charmingly narrow houses, Amsterdam is one of those cities which live in our hearts long after we’re done with our visit. Famous for its nightlife, the city turns into a pulsating entity after sunset when its nightclubs and bars open its doors for business. Grab some cheap airline tickets to Amsterdam and hop into Sugarfactory, Escape or Radion for an unforgettable time. Anne Frank House– A biographical museum of the World War II diarist Anne Frank, it is located on the Prinsengracht Canal. The young writer maintained her journal while she and her family hid at the attic of a family friend along with a few other people. The museum features old photographs along with a few other artifacts. Grab some cheap flight tickets and visit this fascinating place. Vondelpark– It is a huge urban park with an open-air theatre. This historic park features lush gardens, exquisite statues and bars & restaurants. Hop on a last minute flight to Amsterdam and catch one of the many shows held at this public park. Rijksmuseum– Located at Museum Square, it consists of around 1 million works of art and crafts. It features around 2,000 paintings from the Dutch Golden Age. Art enthusiasts can also spend a day discovering the great works of art at the Van Gogh Museum and the Rembrandt House Museum. Natura Artis Magistra– Situated at the centre of the city, it is the oldest zoo in the Netherlands. Other than many species of wildlife, it also features a planetarium, an aquarium and a large collection of art pieces. Royal Palace of Amsterdam– Located on the Western side of Dam Square, this majestic palace was built on the 17th century. In present times, the palace is used by the Royal family for official functions including entertaining state guests. 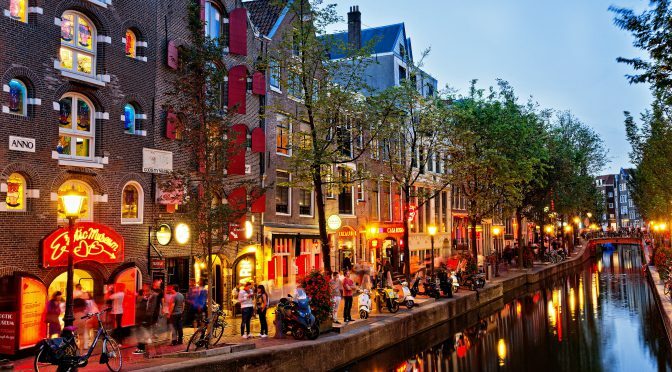 Book Flights to Amsterdam Right Here! Now-a-days, getting cheap plane tickets to Amsterdam is very easy if you go through the various travel portals available online. Lookupfare uses the latest technology to bring you the best possible prices for your economy, business or first class flight tickets. Amsterdam Airport Schiphol is an important international airport making it quite convenient for a person to fly over there from any part of the world.